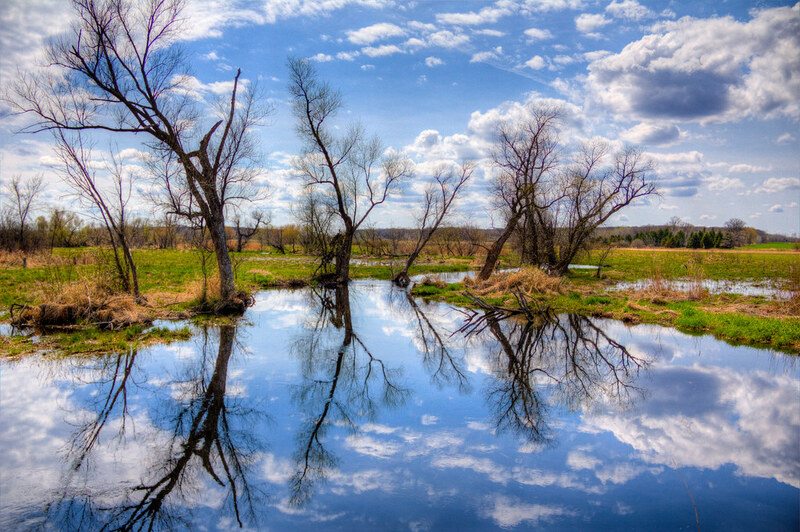 This photo is the most perfect springtime reflection I have seen in recent weeks. The crystal blue sky reflected in true mirror fashion in the calm as glass water complete with swampy, rural surroundings. Scenes like this make Minnesota very much worth living in.